We are so EXCITED to be adopting a special needs child from China! After encouragement and advice from friends we decided to start a fundraiser on Pure Charity to raise the funding needed to make our adoption a success. 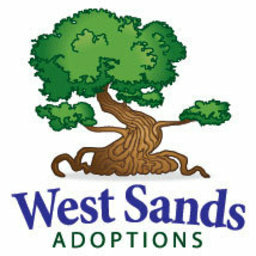 All Donations are tax deductible and will go directly to our adoption agency. Thank you so much for the love and support in making this dream a reality. There is no way to fully express how grateful we truly are for having such great friends. We have added are personal adoption stories below for you curious folk. Why do you want to spend your money this way? Do you know what you’re getting into? What if you get something your not expecting? They are not going to “match” your family. You can just have your own children. I have tried coming up with amazing answers while in the “hot seat” of these questions, and yet the truth is…. God has a plan for our lives, and somewhere a long time ago He gave this idea that maybe I could adopt. The idea grew into a desire, which grew into a true act of faith to do something that I cannot answer all the questions to. My life is busy and rough most of the time. My 4 beautiful kids are active and not “well collected” most of the time too. 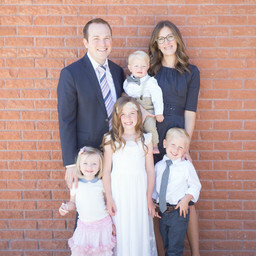 My house is messy and I am far from the “best mom award,” And that doubt has stayed with me through all of these concerning comments and questions. “Can we really do this? ?” I have been humbled to my knees to try to find answers to these questions and why I feel the absolute need to adopt. Because that is where our child is and we need to go get them. If you’re the kind of person that needs to know all the answers before you can make this big of a decision then this story will make you very uneasy. But if you happen to be someone that has a family, is a part of one, is a mom or dad that has loved a child unconditionally, or has been loved by someone unconditionally, then you can understand that that bond can be one of the most powerful and most indescribable (answerless) gifts we have been given. Please help be a puzzle piece of this story and help us pick up a part of our family. We know that this will change our lives, it will change the lives of our children, and it will defiantly change the life of our family. We have no need to adopt. We have four beautiful children and life is good. However, we know just how important a loving family can be. It has been said that the most important work we will ever do, will be within the walls of our own homes - and we couldn’t agree more! Tania has always wanted to adopt: a desire that took root when she was just a teen. I have 6 adopted cousins and have seen first hand not only the blessings that come to the adopted child but to their adopted families as well. Adoption started off as an idea, a dream that would never happen. As the years have gone by and we have thought more about adoption, we have come to the conclusion that we CAN do this and the only reason not to, is the cost. We have been so blessed and believe providing a child with a healthy, safe and loving family is far better than anything else we could do at this point in our lives. There is food at the table, room at the inn and a desire in our hearts.